Police are moving to use modern technology to assist them in fighting crime. The Dallas Police Department is looking for backing from their city council before moving forward with purchasing drones. Police refer to them as “small unmanned aerial systems” rather than “drones,” a word they say may remind people of weaponized aircrafts. The drones Dallas Police want to purchase will only be armed with cameras and will only fly when there is a specific mission according to Assistant Police Chief Paul Stokes. The department is hoping for a fleet of five: two for SWAT and three for patrol. Dallas police don’t have any drones yet, but they had a chance to fly them during the National Rifle Association’s national convention in May, when the Texas Department of Public Safety brought theirs in and let Dallas officers fly them to monitor crowds at the downtown convention center. Stokes said the price for the department’s preferred aerial systems range from $7,500 to more than $30,000. The low-cost models work in daytime and low-light settings. The mid-range aircraft, with thermal imaging technology, cost between $10,000 and $15,000. The most expensive, highest-tech versions specifically designed for law enforcement use, can cost more than $30,000. However police aren’t the only ones using drones. Criminal gangs are using them to spy on the police. In an article by the Washington Post Joe Mazel, the head of the FBI’s operational technology law unit, shed some light on an attack aimed at a Hostage Rescue Team. Mr. Mazel also noted how criminal organizations are using drones to surveil police departments. 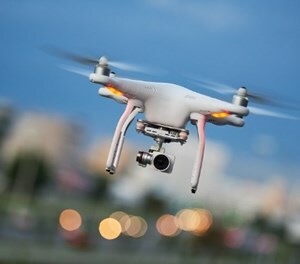 Law-enforcement personnel want laws passed requiring drones that fly beyond their operators’ line of sight to broadcast an identity, Defense One added.